From bottom, clockwise: Jennifer North, Anne Welles, and...NEEEEEELY O'HAAARA! Cakespy AMAZES me as always! The best EVERRRRRRRR! Jessie is the bomb.com, dammit! Never-ending creativity! 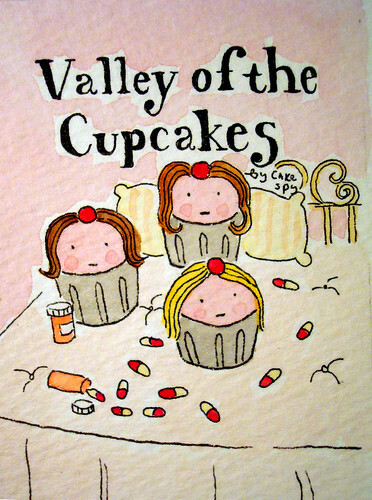 Cuppie...the literary series! I LOVE this! The book is one of my favorite guilty pleasures. *blush* Great job, Cakespy!